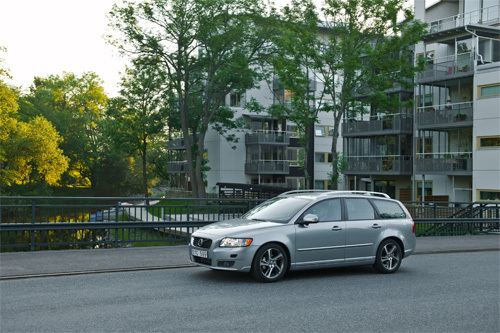 2010 – Volvo V50 near Nolhaga in Alingsås, Sweden. Nolhagagatan is a street in Alingsås. 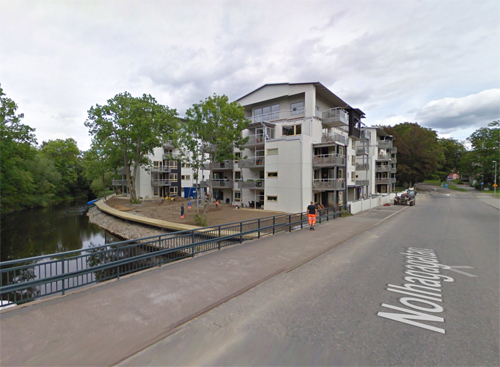 Alingsås is a locality and the seat of Alingsås Municipality in Västra Götaland County, Sweden. Geographically the city is situated by the outlet of the small rivulet Säveån into lake Mjörn. Communications are provided by the western main line railroad (Västra stambanan) between Stockholm and Gothenburg, and by motorway through the European route E20. 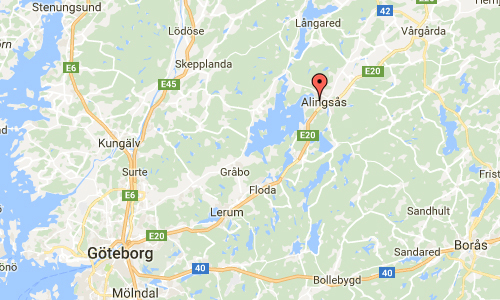 Next to Alingsås you can also find a small village called Sollebrunn. 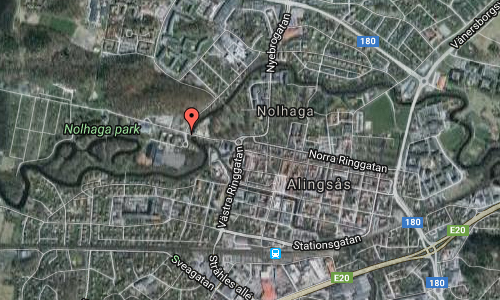 Alingsås has a rich cultural life, and hosts a few different cultural events throughout the year. In October, Lights in Alingsås is held for one month; 6 European lighting designers get to light up selected sections of the city as they please. To help them, they get about 65 international students of architecture, and together they have one week to create the vision of the lightning designers, whom act as workshop leaders. The public can then either walk the tour themselves or in guided groups, and it has over the years become very popular internationally. The project is a cooperation between Alingsås Kommun and Professional Lighting Designers’ Association since 2000. In the summer, a festival is hosted by Alingsås Kommun, called Potatisfestivalen. It is a city festival with different activities, such as concerts and performances. More information at sv.wikipedia.org and www.vastsverige.com. Thanks to Per Richardson, who found this Volvo Photo Location!